Silicone grip insulates against vibration and heat transfer. For use in Parkell’s 30KHz and 30KHz compatible scalers. Parkell’s Cushion-Grip Inserts feature soft silicone grips that insulate your hand from vibration and heat transfer. Much like the Stainless-Steel Inserts, this group of inserts is precision-crafted and built to last. 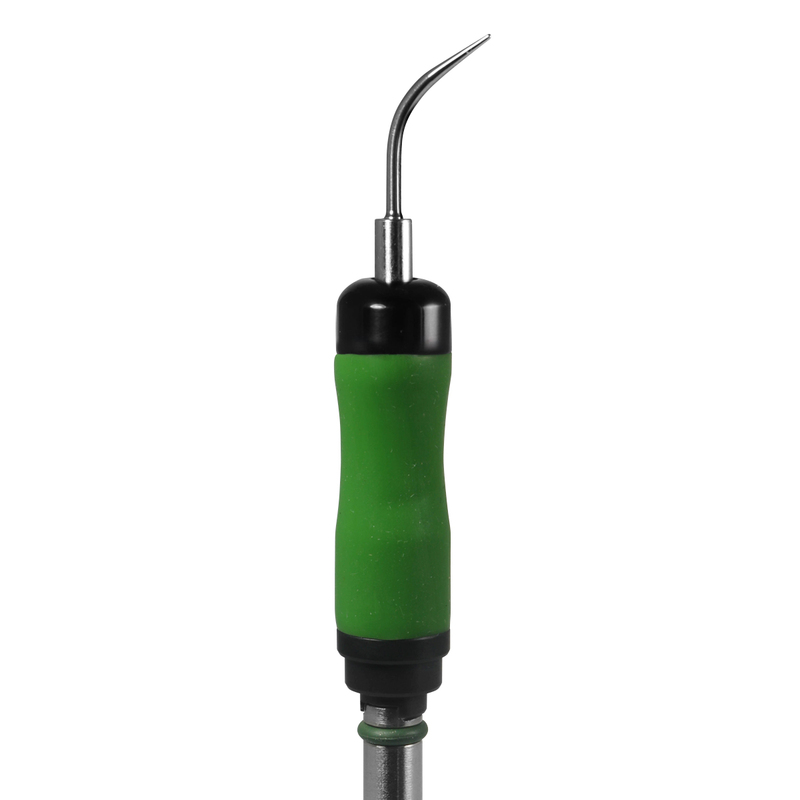 They provide quick and easy debridement without causing you or your patient any discomfort. Cushion-Grip Inserts are only for use in 30KHz Parkell or other compatible scalers, but do come in a variety of styles. They are available in your choice of either green or pink soft grips.